Are tight schedules and a lack of equipment keeping you from getting the benefits of strength training? If you find yourself making excuses rather than making your workouts, it’s time to develop a program that works with you and your schedule. Low equipment and no equipment forms of strength training are excellent ways to build muscle and improve your functional movements. Plus, adding in circuit-style strength training to your cardio workouts at home can keep your heart rate up so you don’t have to choose between strength training and cardio when time is short. From burpees to tuck jumps, there are plenty of equipment-free ways to keep your heart pumping while you build muscle. If adding impact to your workouts seems a bit extreme, you can choose no-impact options such as planks and squats. Bodyweight strength training will increase your functional capacity, making you stronger for the movements you do (or should be doing) every day. A great program might start with a warm-up on your treadmill, indoor bike or elliptical, followed by five stations of exercises targeting the chest and/or back, lower body, core, arms, or entire body at once. Spend one minute at each station and repeat the entire circuit 2-3 times depending on your schedule. 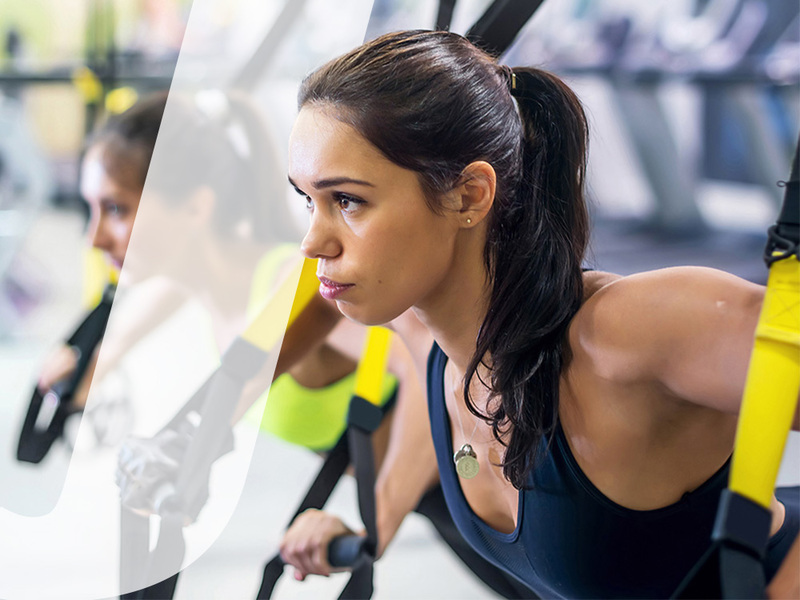 During the second and third rounds, you can increase the intensity on your fitness equipment to be sure that you keep your heart rate within your cardiovascular training zone. If you’re already in good shape, try to aim for intense intervals during your time on your fitness equipment, as well as during your lower and full body exercises. For options that will suit everyone from beginners to athletes, this list of 50 Bodyweight Exercises you can do anywhere will give you plenty of choices to design your first circuit and keep it fresh for months to come. If you need help designing your first workout, here’s an example of a beginner workout using bodyweight exercises. Whether you’re just getting started or want to seriously power up your workouts, low equipment and no equipment forms of strength training are excellent ways to build muscle and improve your functional movements. Check out part two of this article on how to add in more free weight and resistance band workouts to boost your home cardio routine.